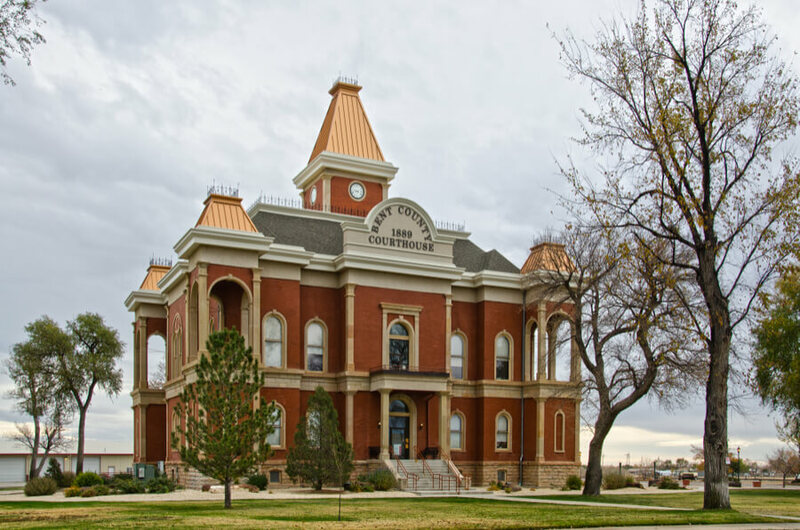 RESADA Region Six Alcohol and Drug Abuse, Co. is a drug and alcohol treatment facility that offers its services to adult men and women for alcoholism and substance abuse. The center was established in 1977 and since then has been offering affordable treatment options to individuals. The mission of RESADA is to help individuals affected by addiction by providing them with a safe and nurturing recovery environment. The center strives to enrich the lives of the affected individuals by teaching them the recovery tools needed to foster progress and enhance the recovery process. The treatment programs utilize holistic approaches through which the mind, body, and spirit of each client are healed. The center offers various treatment services including detoxification, case management, and residential programs. The center also has a dedicated program for pregnant women and women with dependent children where they are offered integrated services for substance abuse issues. The treatment programs include a number of historically-proven and evidence-based therapies such as cognitive behavioral therapy and psychoeducation classes. The 12-steps programming is also integrated into the treatment programs with clients attending regular 12-step meetings held on-site the campus. Through the education classes and group sessions, clients are empowered to achieve lasting recovery and prevent relapse. RESADA is located in a compound in Las Animas, Colorado. It has a capacity of 19 clients in the residential program and 6 clients in the detox program. The campus provides a private, safe, and comfortable environment for clients where they can start their journey of recovery. Clients stay in dorm-style rooms that are modestly equipped. Rooms are furnished with bunk beds and storage space for clients. Three to four clients share a room. Each room has an attached bathroom with basic amenities provided. The center has a TV room that is furnished with comfortable sofas. The room provides residents with the opportunity to relax and watch TV in their free time. They can socialize and bond with each other which makes them realize that they are not alone and that recovery is possible. The center provides clients with a number of opportunities for outdoor and indoor recreation. An outdoor basketball court is also provided for this purpose. There is a cafeteria inside the compound where an in-house team of kitchen staff prepares three meals for clients each day. Clients are offered healthy and nutritious meals which they all eat together in the cafeteria. Special dietary restrictions and food allergies of residents are also taken into consideration during the preparation of meals. RESADA offers comprehensive outpatient and inpatient treatment services to adult men and women for substance abuse and alcoholism. The center evaluates each client and devises an individualized plan for him/her. Depending on the client’s ability to pay, their net family income, number of dependants, and other factors, a sliding scale cost is charged from them. The center accepts cash, money order, cashier’s check, credit cards, and debit cards for payment of treatment fee. The center accepts donations from private and public organizations as well as individual donations and grants. This donation money is then used to fund the treatment of indigent and poor clients who cannot pay for their treatment. RESADA, Region Six Alcohol & Drug Abuse, Co., is a non-profit organization that offers treatment services to adult men and women for alcoholism and drug addiction. The center offers residential, outpatient, and detoxification services to individuals struggling with substance abuse. They are provided with a warm and encouraging environment where they can learn to break the bonds of addiction and increase their inner resilience to fight the urge to fall into relapse. Clients are offered individual and group therapy through which the counselors and therapists empathize with them. They teach clients to develop life skills, emotional skills, and coping skills which enable them to make the right and healthy decision in life. Through the integrated approach of holistic treatment modalities and the 12-steps programming that target the physical, emotional, and spiritual aspects of the clients, they are enabled to heal and recover as a whole person. The staff at RESADA comprises a multidisciplinary team of healthcare professionals who excel in their fields of specialization. The staff works diligently to achieve the organization’s vision of becoming a premier treatment provider of addiction recovery and healthcare services. All staff members are adequately trained and qualified to deal with patients of substance abuse and alcohol addiction. Some of the therapists and counselors are in recovery themselves which help them empathize with clients on a deeper level. They are able to use their experience of addiction and recovery to guide clients in their journey of healing. The staff at RESADA comprises a medical team which includes doctors, physicians, nurses, and nurse practitioners who provide their services in the detox units. The staff also includes a clinical team which comprises Master-level therapists, Certified Addiction Counselors (CACs), Licensed Professional Counselors (LPCs), Counselors, and Social Workers. The other staff members include the leadership team, administrative team, and the support staff. Addiction Resource » Drug and Alcohol Rehabilitation Centers » Colorado rehabs » Las Animas » RESADA Region Six Alcohol & Drug Abuse, Co.